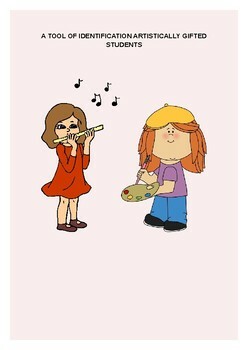 This tool will help the teacher identify the artistically gifted students of his grade. 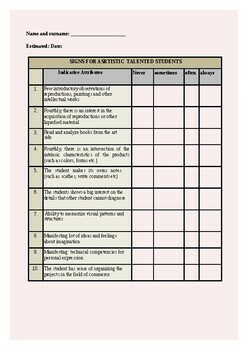 Through this tool, the teacher will be able to record the signs of artistic talent among students by identifying his behavior. With respect to each claim, four alternatives are offered, from which only one is selected.